Upgrading and renovating an old and outdated home often means more than just the exterior and interior, consider the design of your ideal modern house, from a gorgeous garden to a lavish landscape and even some elegant detail. 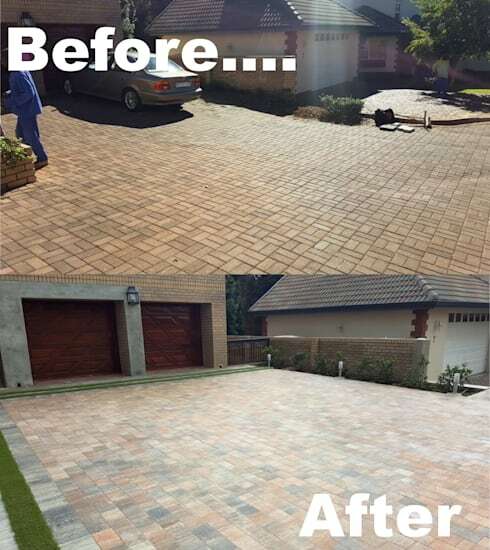 This before and after homify feature is an awesome inspiration for your paving and garden enhancement. It may take some planning and careful thought, but the end result will be nothing less than fantastic. 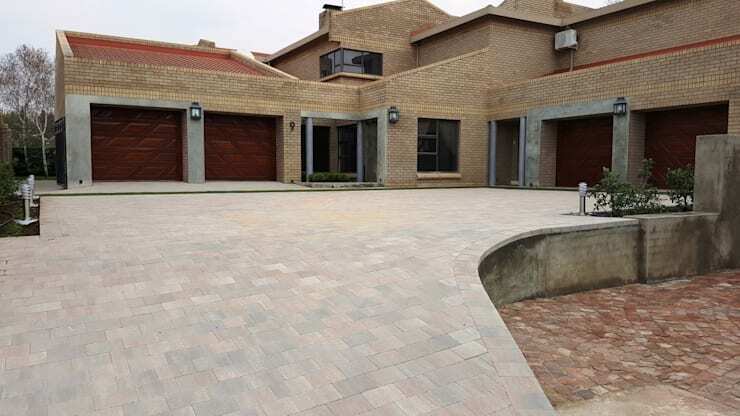 Get rid of unsightly and lose old fashioned bricks and replace them with a modern, colour enhancing option that are sure to enhance your paving. 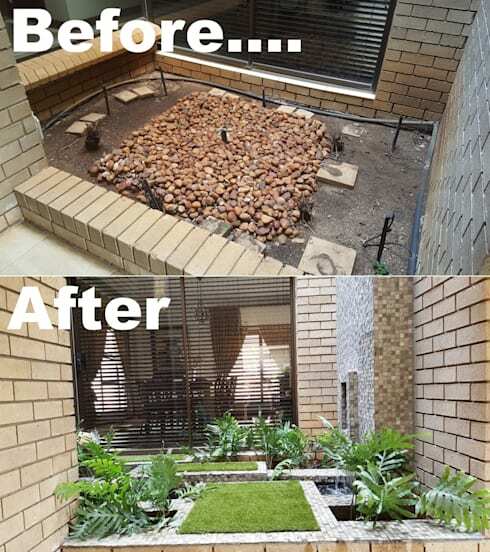 A gravel patch that are the remainders of your Asian inspired garden is now long gone, so opt for some lovely, lavish greenery and this space will be inviting again. Include a few tall pot plants and you'll instantly upgrade that outdoor zone with sleek and sophisticated detail. Admire the full view of this splendid facade, from the spacious design to the fantastic layout and even the large and welcoming off-street parking area that is perfect for a busy household that expects regular visitors almost daily. 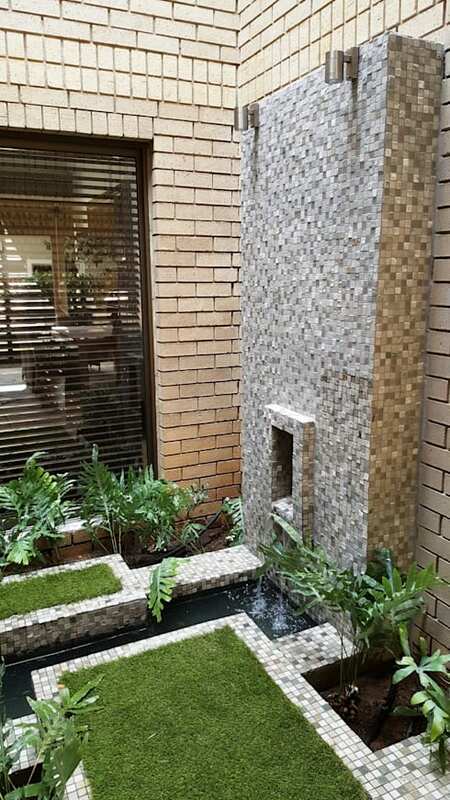 Our final aspect of this home to admire and adore has to be the wonderful water feature. There's nothing more relaxing and soothing to the mind than the sound of a babbling brook. Incorporate a few gorgeous green elements such as plants and grass to complete the design and don't forget the textured detail to accentuate that modern feeling. Are you in need of some more inspiration to renovate and design your modern home? 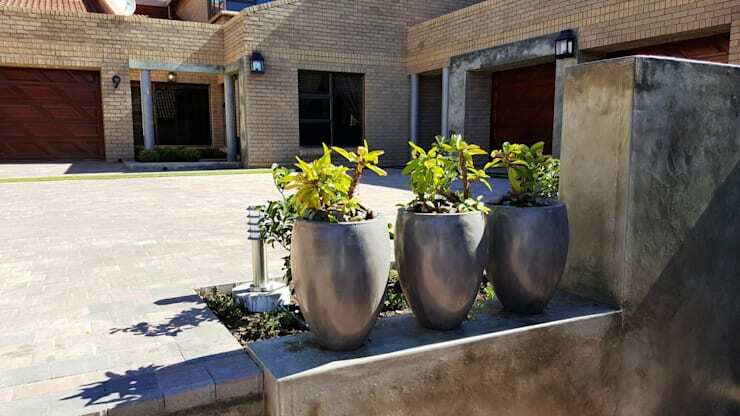 Well, have a look at The smart renovation of a Pretoria home for some more awesome hints and tips. Would you like a paved driveway like this?